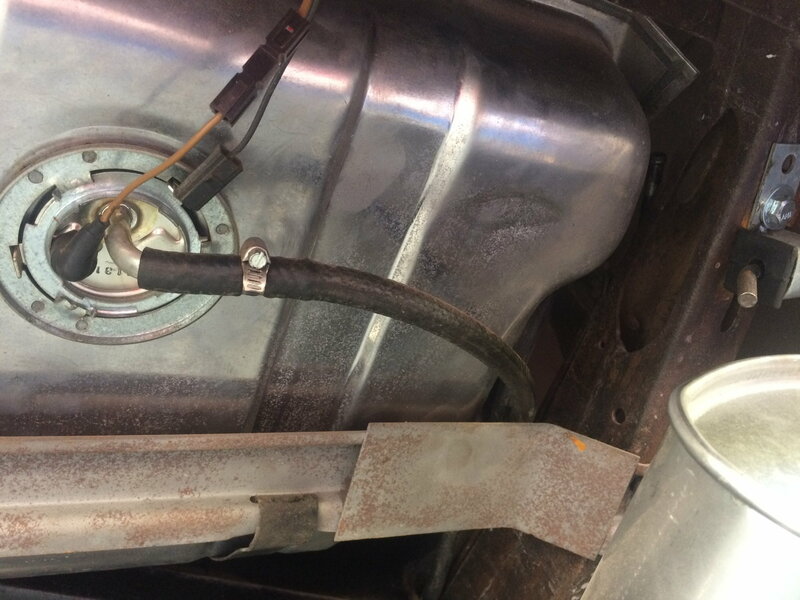 Replace the small 8" inch piece of rubber hose that goes from the gas tank sender to the fuel line. This can deteriorate and close off internally and because it is on the suction side.....cut off fuel to the pump. It may collapse just enough to only allow a trickle of gas through and when the float bowl is full it runs fine.....but when it can't keep up because of a partially blocked line.....it stalls. Wait 5-10 minutes and it starts right back up.......runs great.....go another couple of miles and kaput. Thanks Jebby! The PO did this, but maybe not correctly. But, it is new hose. Last edited by Jstan2014; 03-07-2019 at 09:22 AM. My advice - Ignition coil and condenser need to be replaced with known good, non-aftermarket parts. Exact thing happened to my '80 after I did an ignition "upgrade". Going back to the old stock parts solved the problem. Thanks Jenny. The PO did this, but maybe not correctly. But, it is new hose. Great.....now when it quits next time, hop out and look into the primary side of the carb. Whack the throttle and look for Accel pump squirt. If there is none then fuel is the issue. If not...you just narrowed down by half! Thanks Jebby! ( Sorry for the auto correct typo above. I fixed that in the original post) I just drove 8 miles with no problem after having stalled out yesterday. Crazy that this never happens unless the car has sat for several days. Thanks to ALL for the good advice. This will be solved. Intermittent failures can drive you bonkers. Its always something stupid easy and cheap. Youll find it. Sometimes its blind luck. Sometimes it just takes awhile to figure it out. A bad ignition switch that is failing for example. I had a similar problem once that I decided had to be fuel related. Flushed all the lines, changed all the filters, yet the car would randomly stall as if it had run out of fuel. Pull over to the side, wait a while and it would start right up. Naturally the one place I didn't think to look was where the problem was. Turns out the line between the pump and the AC filter had some large piece of debris in there. I don't know how it got past the pump. I guess what was going on was the debris would randomly tumble around until it blocked the line. Shut the car off and it would sink back down and the car would start and run just fine again. The somewhat consistent behavior of your problem maybe doesn't click with my situation but I thought I would share. That kind of thing drives you bonkers. Sounds like you are draining your fuel bowl shortly after starting and driving a bit. I'd change out all the rubber hoses, replace the fuel filter in the carb (q-jet??? ), check your fuel pressure coming out of the pump. Should be at least 4 to 6psi. I would think if your coil etc. was getting hot you'd be able to drive it, coil overheat and you stall, wait a few minutes and the coil cools, start it back up and the coil should overheat again but your description (if I'm reading it right) is after this happens shortly after starting your trip then never happens again during your trip? Yes, you are correct. The car starts with no problems after it has died. Now, I’ve had the car home the past two nights. I’ve driven the car two times, yesterday and today, with no problems at all. I’ve driven a 10 mile round trip both days with a WOT run up to 60 mph. She runs strong. I can’t help but question if the storage unit and the cold nights we’ve had played a role in all three “episodes” of dying the way it’s happened. It’s as though I’m out of gas but I’m not. I asked this earlier, but I’ll ask again. After several nights, could there be condensation in the fuel lines that makes its way to the carb, kills the engine/burns thru the system, and then I’m able to restart and go? It should be noted that this never happened last summer when we first got the car. It’s only been a winter issue. Maybe the C3 doesn’t like sharing “garage time” with the C6? Crazy, I know. It’s getting warm here and this may not happen again until next winter. I had my video camera ready to record today so that If/when this happens again I can show everyone what it’s doing. I know it sounds crazy. Ps: all fuel lines and hoses were replaced by the PO. The fuel tank is new also. I can’t be too certain if the fuel pump was replaced, but it seems to work fine even though I have no way to check the fuel pressure. Thanks all! Yes, you might have water in your fuel. Before you drive again take your filler cap off and see if it's wet. Water will sink to the bottom of the tank so its possible after sitting for a few days or a week you'd have water at the bottom of the tank. When I was flying/mechanic on small aircraft part of the pre-flight was to drain the sumps of the fuel tanks and check for water. In Avgas you can see it plain as day because Avgas is dyed light blue for ID purposes. Last edited by theandies; 03-08-2019 at 04:39 PM. theandies:..... There’s no “S” hose under my hood. It looks like fresh off the spool fuel hose to me. (I’m not surprised though, I’ve found quite a few corners that were cut during the “rebuild”.) Also, I’ll check again for water the next time I leave it at the storage. I’ve never actually seen any water or droplets of water in the tank or under the cap, but I wasn’t sure if I’d be able to see it or not. Thanks! Last edited by Jstan2014; 03-08-2019 at 05:58 PM. 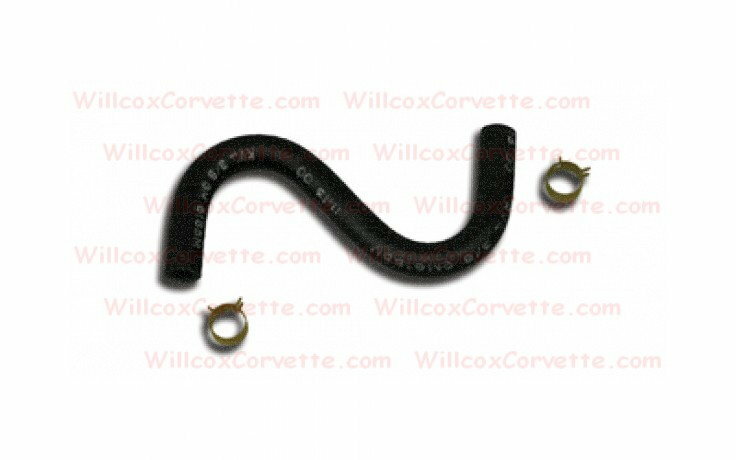 I'd replace the bubba fuel line with the correct one even if it's not the cause of your problem. That line prevents the fuel line from kinking when your engine torques over. Roger that. Not only is it not the “S” hose, it has virtually no slack in it. I suspect that could be problematic in its own right No, the off-site storage unit has no power. I think I’ll keep the C3 here at home for now. The attached house garage obviously has power to it, and it’s also indirectly “semi-climate controlled” thru a storage space that has passive air flow (leaks) from under the house stairs into the garage. The garage is always appx 10-15* cooler in the summer and 10-15* warmer in the winter than the ambient outside air temperature! Text me if you want to bring the car by my place tomorrow. I'll take a look at it if you want. Jstan2014 - Just realized you are in Round Rock. We lived there in the Cat Hollow neighborhood for about 10 years. We liked it but growing up on the east coast we were glad we got the opportunity to move back east. Sorry for the off topic. That would be a HUGE help! I’ll text you shortly. We just got home. It was good to see you today. Your ‘81 looked great! No need to apologize my friend. It’s a crazy small world! We are on year 12 in Round Rock ourselves. We still love it here but the summers seem to be getter hotter and hotter. Day three UPDATE: I went out this morning for a test run. The car has been home now for three days and driven everyday. I’ve had two days with no problems. Today she stumbled when pulling away from the house, and ran about 3 miles okay. I went thru the ATM line, and began driving back home. She started cutting out, but not surging as strong as before. About 1/2 mile from the house she died. She simply cut off as though the ignition was turned off. I rolled to a stop in the right lane, put her in park, turned the key, and she fired right back up. I drove her home and parked her. I checked for signs of water/ condensation before I began my drive. There was none. My theory is shot. It is now happening while parked in the home garage so the storage unit conditions are not a factor. It also has now happened after two days of no problems. The mystery continues. Maybe StreetRat and I can figure this out! I think I would look for condensation under the distributor cap. after it warms a bit the moisture begins to evaporate and may be causing some electrical issues for you under the cap. WD 40 was made for removing such types of moisture. It sure sounds like a fuel issue, but you have done almost everything to resolve the issue. When was the carburetor cleaned or inspected? Sounds like a float malfunction or jet getting intermittently clogged. And when you press the accelerator on restart, the accelerator pump stirs up the gas in the bowl, shakes the float, and everything goes back to normal.